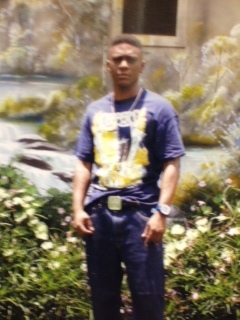 It’s been longer than a year since a Baton Rouge jury found Torrence “Lil Boosie” Hatch not guilty of first-degree murder and he still remains in Louisiana State Penitentiary at Angola. Hatch’s mother, Connie Hatch, urged people to stop listening to gossip of when the rapper will get out of prison because the exact date has not yet been determined. She said they are working on getting him into a rehabilitation program outside of prison. Hatch said that she and her son are in good spirits in light of what happened. She wants to set the record straight that many of the reports floating around about him are untrue. Hatch said that, contrary to reports, her son is not on lockdown. He is in the general population and is working every day. Hatch said that her son, who emails her every day, has remained very active while in prison. Besides obtaining his GED a while back, he has written more than 60 songs, with three of them being Gospel, and has almost finished a book. She also said that justice was served in Hatch’s murder trial and she has forgiven all those involved. She called the trial “a waste of taxpayers’ money” and said she has not yet received her son’s hard drives back with all of his music because she was told they was being used in another trial. She said that God sees all and what goes around comes around. Jerome Boykin, president of the Terrebonne Parish chapter of the NAACP and Torrence Hatch’s mentor, said that he couldn’t believe that the case even went to trial. “You [have] good and bad in any profession,” said Boykins, who is also a retired captain from the Terrebonne Parish Sheriff’s Office. Boykin said the negative picture that has been painted of Hatch is not the same person that he knows. He spoke of a Hatch buying school supplies for less fortunate children and medication for the elderly. He said he would also pay the rent and bills for those who couldn’t afford to pay it themselves. Connie Hatch said she is holding it together for her son and his children and will continue to do so. She recently took the children to Florida for some fun in the sun. She said that Hatch’s rap industry friends are always willing to lend a hand. She said that she and Hatch are forever grateful for his loyal fans and those who have continuously supported them. For a clear and close-up look at how the Baton Rouge Criminal Justice System works in the state of Louisiana, you must please get a copy of my new book: WITH EDWARDS IN THE GOVERNOR’S MANSION: From Angola to Free Man. It is a true story. I am from Baton Rouge where the story takes place. I was 17 when I engaged the Baton Rouge Criminal Justice System and I was sentenced to life in Angola and they never received a plea of guilty from me. I never entered a plea of guilty and was sentenced to life in Angola. You heard me right the first time. They covered it up, but thank goodness for Gov. Edwin Edwards who pardoned me when he found out what those bastards did and were trying to do me. The book is at amazon.com, Barnes & Nobles, Books-A-Million. Thank you.